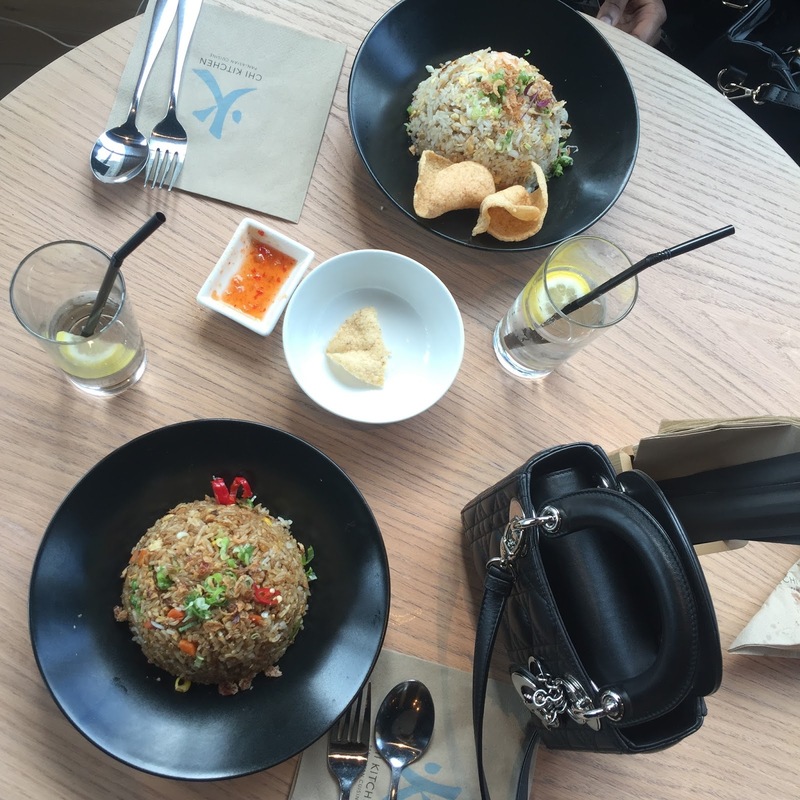 A few days ago I went to Chi Kitchen for lunch which is inside Debenhams in Bullring - Birmingham. I went to catch up with a friend who I see in University but we never get time to properly talk! You know your growing up when this happens...anyways, I haven't been to Chi Kitchen before and it turned out to be a nice hidden gem. 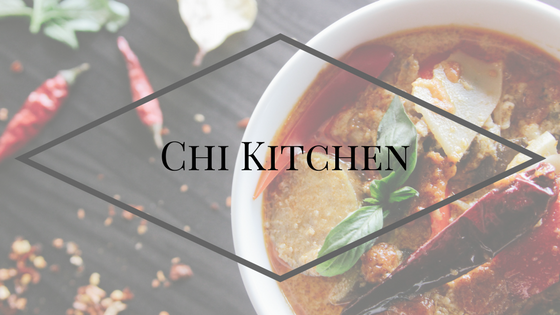 Chi Kitchen is classed as a Pan Asian restaurant. Offering Thai, Japanese, Chinese and Malaysian food. I found the food to be full of flavour and a very close match to authentic Asian food. I love spicy food so this place was perfect. I believe there is something for everyone. This was delicious! The chicken was full of flavour, crunchy and crispy. This included chillis, coriander and spring onion which was garnished on top. This was also served with complimentary spicy prawn crackers. There was also a sauce on the side, sweet chilli and I think some kind of mayonnaise, I can't remember what though. The sweet chilli was nice and I enjoyed dipping my chicken pieces in. I tried the mayonnaise and it was pretty spicy but it was enjoyable! I would highly recommend this dish to anyone just wanting a light bite before getting into their meal. There was plenty of chicken for both of us to share and I am glad we only ordered one plate rather than two as there was some left over. There were hints of spice throughout this dish. Next, for main, I ordered a rice dish, Duck Fried Rice - £8.95 and my friend ordered Chi Kitchen Fried Rice - £9.95 which came with a few prawn crackers. My dish included roasted duck (of course! ), spring onions, chillis and mixed vegetables in sweet soy sauce. It sounds simple but there was plenty of flavour. It tasted very authentic! The duck was moist, and this was a very good potion. The spice was just right for myself. My friend had chicken, prawns, and duck in hers with mixed vegetables. Both were made with jasmine rice. I loved my dish without a doubt, and I can't wait to go again. I am never in Bullring, so when I am next there again I will make sure I visit Chi Kitchen. Oh after starters we also moved tables hence the arrangement looks different because we needed a plug socket to charge our phones! Would I recommend this place? Without a doubt! I love Thai food and Asian food so this was perfect for me. If any of you guys enjoy Pan Asian food you should give this place a try. It's a nice little break to have after a long day of shopping! I will be doing a lot more food review guys as I have found myself to be going out for meals lately. If there is a restaurant you would recommend make sure to leave a comment and let me know.